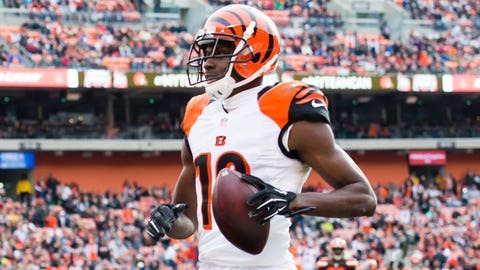 Bengals receiver A.J. 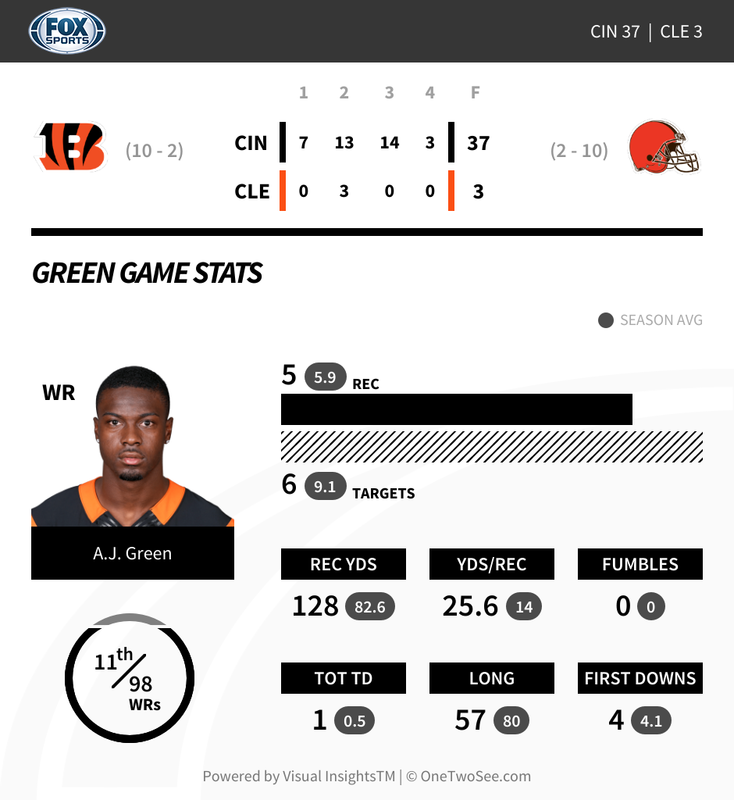 Green had an easy day picking apart the Browns secondary Sunday. Bengals receiver A.J. Green’s big day in Sunday’s 37-3 win at Cleveland could have been so much bigger. Green settled for 128 yards and a touchdown on five catches. He also had a touchdown negated by review when he was ruled out just before the goal line, and his 57-yard reception in the first quarter would have been an 84-yard score if not for Tramon Williams diving at his shoestrings to make the tackle. Williams was not as fortunate on Green’s 23-yard touchdown reception in the second quarter. Williams lost Green coming out of his break, seemingly expecting safety help from Tashaun Gipson over the top. Gipson was not there until it was too late. Green now has 1,037 receiving yards for the season, becoming the second receiver in NFL history with 1,000-yard seasons in his first five years, according to ESPN.com’s Coley Harvey. Randy Moss holds the record with six.